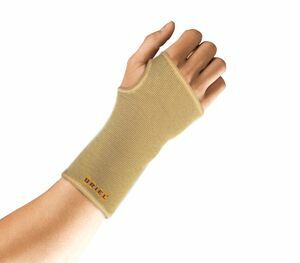 The Wrist Bandage takes the strain off the wrist and provides firm support whilst allowing for normal daily functioning. Supports the wrist joint and the base of the thumb and helps prevent injury to the wrist. Recommended for the treatment of wrist pain due to strain, sprain, tendonitis and arthritis. Made of high quality light and breathable material.